In Australia, brushtail possums (Trichosurus vulpecula) are declining in natural habitats but have adapted to urban environments so readily that some human residents consider them to be a nuisance. 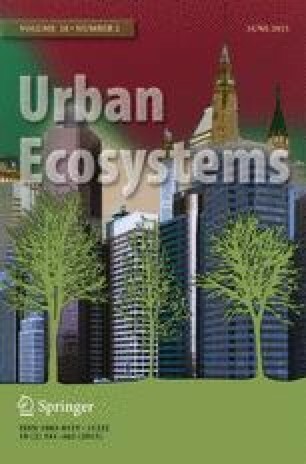 Although this situation represents a conundrum for management, the use of urban habitats by the species remains poorly studied. We conducted our study in six urban parklands, a setting that represents an intermediary between a fully-urban and fully-natural environment. To determine factors that influence the presence of hollows in trees and their use by brushtail possums, physical characteristics of 240 mature trees in six parks in the Adelaide Parklands, South Australia were assessed. To investigate hollow use more comprehensively, 18 possums were radio-tracked. Presence of hollows in trees was a function of tree species and tree size, with hollows formed in both exotic and native species. Tree form and number of hollows were significant predictors of the use of hollow-bearing trees by possums. Use of exotic trees was high, with only 34 % of recorded den trees being native (non-indigenous) species. Radio-tracked individuals were relatively sedentary, with an average daytime denning area of 0.08 ha. While the majority of animals used multiple den sites, all individuals favoured a single den. Use of a variety of anthropogenic structures was high, even when trees were available. On average, sites supported ~1.5 brushtail possums per hollow-bearing tree. A correlation between number of hollows per hectare and possum density (r =0.892, P =0.017) suggests that altering a given area’s density of hollows or anthropogenic structures could influence the density of possums within it. B-M Yáñez conducted the fieldwork whilst holding an Adelaide Priority (Honours) Scholarship from the University of Adelaide. Project funding was provided by Biocity – the Centre for Urban Habitats (University of Adelaide and UniSA). Work was conducted under a research permit (M25138-1) from the South Australian Department for Environment and Heritage and with approval from the University of Adelaide’s Animal Ethics Committee (AEC S-25-06). We wish to thank Greg Johnston and Chris Daniels for their advice, staff from both the Adelaide City Council and Adelaide Zoo for their support, and Kate Dowling from Biometrics SA for her help with statistical analyses. The assistance of all fieldwork volunteers, including those from Conservation Volunteers Australia, is also gratefully acknowledged.